3 Bedroom Detached House For Sale in Sheffield for Guide Price £200,000. 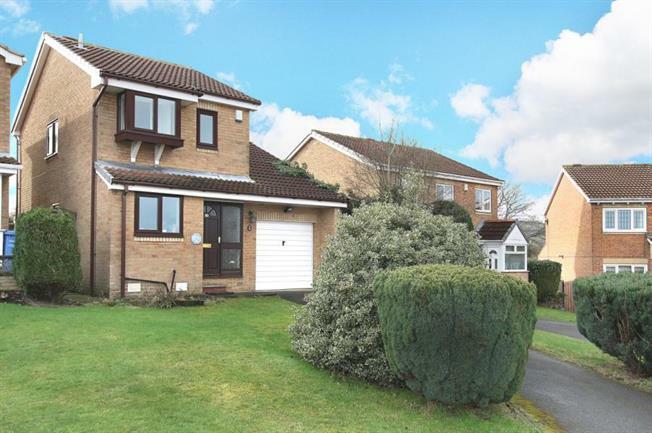 Occupying a nice position towards the top of this popular cul de sac is this attractive three bedroom detached property with garage. Having been maintained by the present owner with gas central heating and double glazing. Accommodation comprises, entrance hallway, downstairs cloakroom, w.c, kitchen, through lounge dining room, conservatory, three bedrooms and family bathroom. Outside garden to the front with driveway and an enclosed rear garden which has been designed for ease of maintenance which occupies the sun for the majority of the day. The property is close to local countryside and is also accessible to local schools and shops and is within close distance to the M1 motorway. Viewing strictly via the agent.